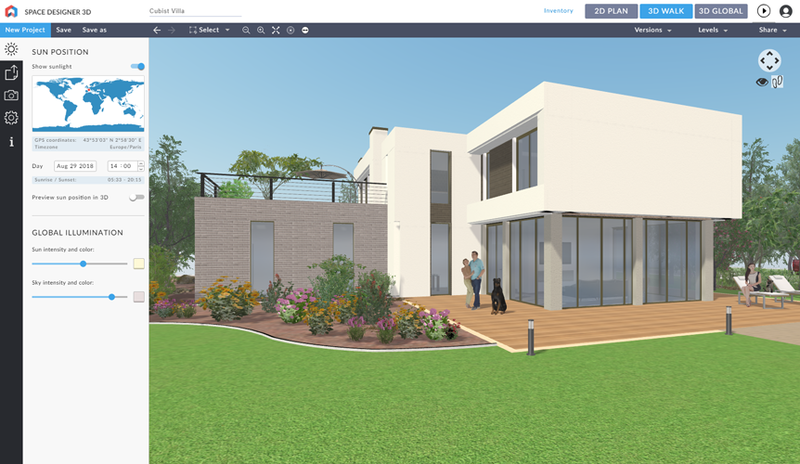 Space Designer is an online architectural space-planning application that lets users virtually inhabit a 3D world of their creation. Its intuitive tools are user-friendly for professionals, as well as novices. The application is developed by Asynth, a company founded in 2009. The Asynth team is composed of architects, software engineers and designers who specialize in the representation of 3D spaces. Its technology is adopted by a large range of professionals, such as event designers, realtors, furniture retailers, communication agencies or interior designers. The Smart Wall Technology included in Space Designer 3D lets anyone draw walls in a few seconds, without requiring any special skill. The furniture catalog includes high-quality objects to fit any kind of project. The application is built as a modular platform – companies can add extensions, new tools and custom interfaces. Every project automatically generates a customizable inventory list that includes multiple metrics, such as object dimensions, products, and quantities. The produced data can be personalized to businesses needs and Space Designer Technology estimates quantities and cost for any project by creating an immediate quote for all items used by the user. The product catalog is fully customizable. 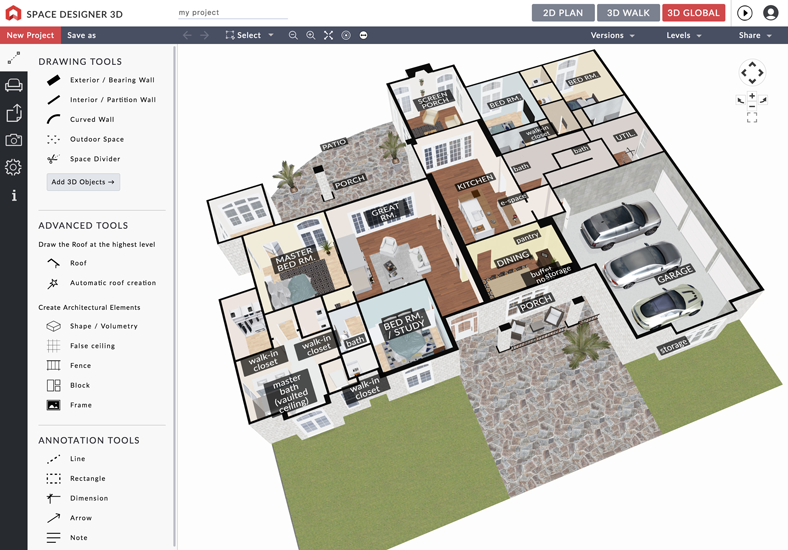 Professionals can add their own 3D objects, or ask Space Designer 3D Designers to create them. Each 3D object can link back to a product, and even add it to the client's shopping cart. More than a designing and visualization application, it is a communication channel between individuals and professionals. 2D Drawing Create new drawings using touch gestures or a stylus and accurately draw shapes. Annotatation Mark up drawings directly. Dimensions Create dimensions automatically. Pass the cursor over selected objects to get a preview before you create it. Dynamic blocks Add flexibility and intelligence to your block references, including changing the shape, size, or configuration. Parametric components An open, graphical system for design and form-making, and the basis for all building components designed in Revit. 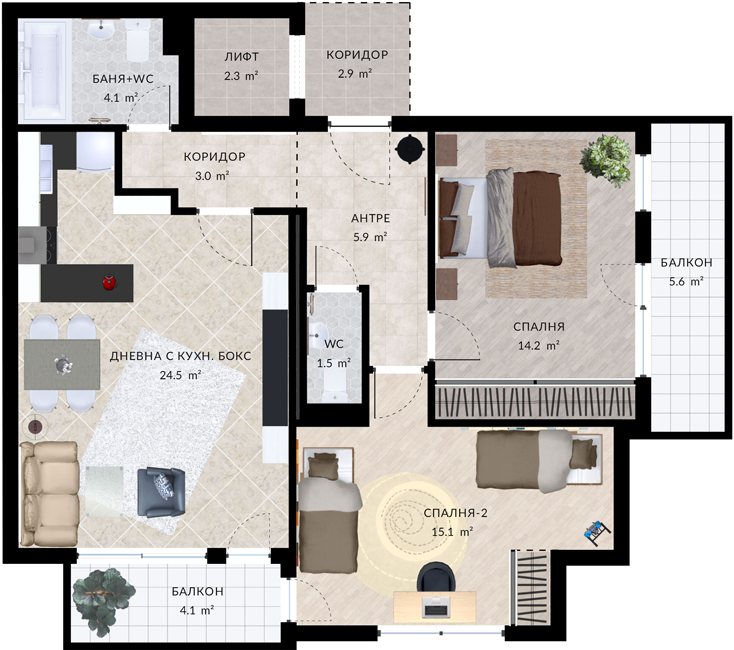 Technology that allows you to design the home of your dreams at the touch of a few buttons? 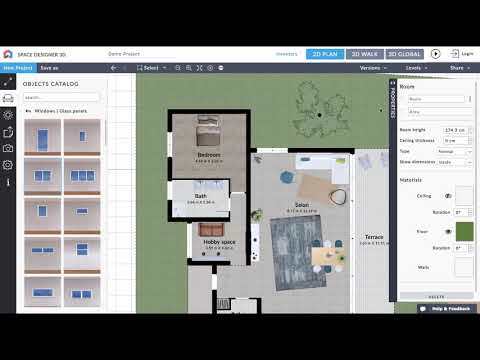 Custom home builder software provides you with the tools to personalize every detail, right down to the furniture. 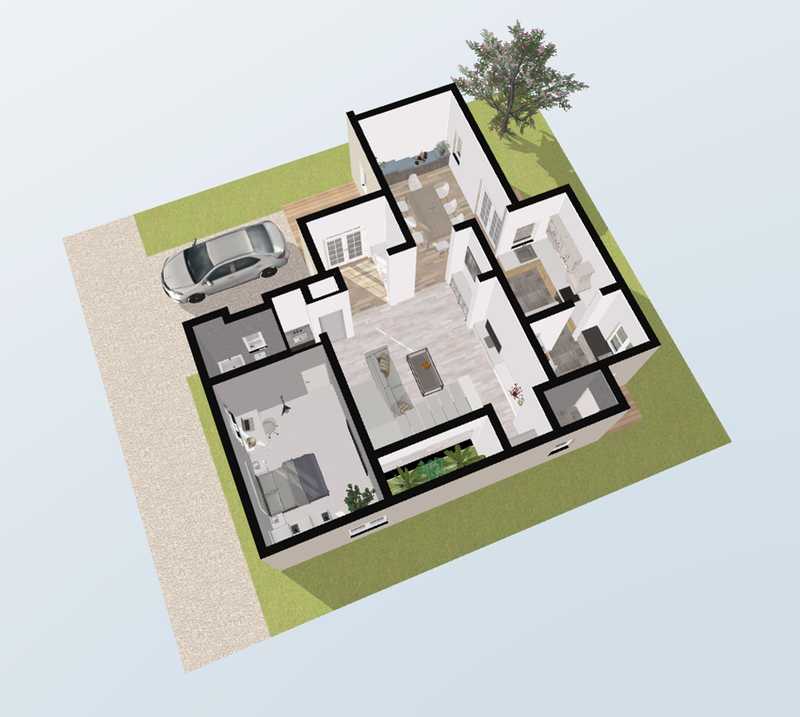 Thanks to a 3D model and intuitive interface it is simple to construct and visualize the future property. Cloud-based or online software allows you to work from just about anywhere, plus it updates in real time, meaning more efficient, organized and profitable business! Gone are the days of getting your ideas down on paper... nowadays you can turn them into a 3D reality! 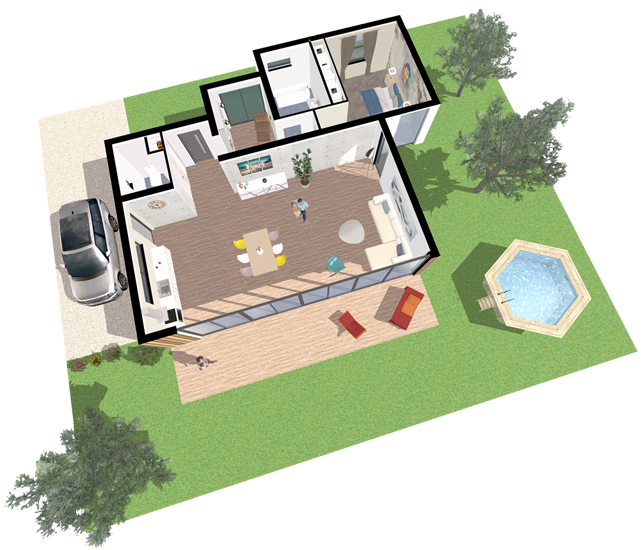 With the use of professional architecture software, the task of creating a 3D home may be completed in one sitting. 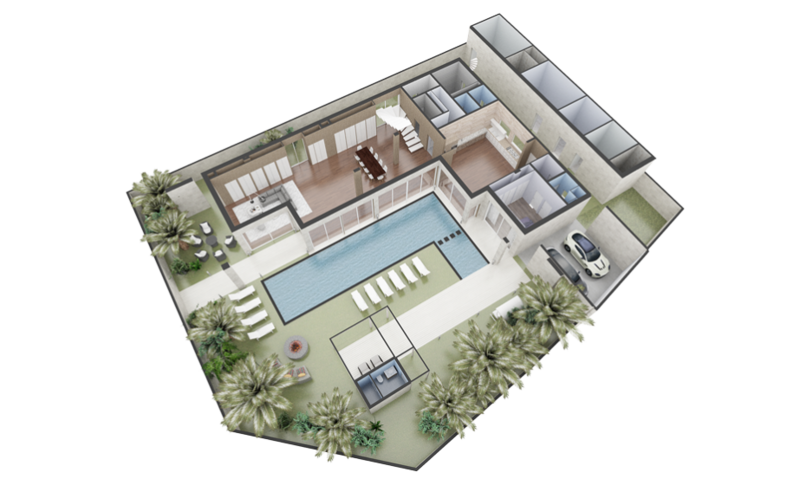 Designed to be intuitive and user-friendly, this software does not require the expertise of an architect. The best bit? The client's only job is to bring their requests and preferences to the meeting, and the sales representative takes care of the rest!